The Septuagint derives from the Latin word for "seventy". This can be a confusing term, since it ideally refers to the third-century BCE1 Greek translation of the Hebrew Scriptures, created in Alexandria, Egypt. But the full story behind the translation and the various stages, amplifications, and modifications to the collection we now call the Septuagint is complicated. The earliest, and best known, source for the story of the Septuagint is the Letter of Aristeas, a lengthy document that recalls how Ptolemy (Philadelphus II [285-247 BCE]), desiring to augment his library in Alexandria, Egypt, commissioned a translation of the Hebrew Scriptures into Greek. Ptolemy wrote to the Chief Priest, Eleazar, in Jerusalem, and arranged for six translators from each of the twelve tribes of Israel. The 72 (altered in a few later versions to 70 or 75) translators arrived in Egypt to Ptolemy's gracious hospitality, and translated the Torah [also called the Pentateuch: the first five books of the Hebrew Scriptures] in 72 days. Although opinions as to when this occurred differ, 282 BCE is a commonly received date. Philo of Alexandria (fl. 1st c CE) confirms that only the Torah was commissioned to be translated, and some modern scholars have concurred, noting a kind of consistency in the translation style of the Greek Pentateuch. Over the course of the three centuries following Ptolemy's project, however, other books of the Hebrew Scriptures were translated into Greek. It is not altogether clear which book was translated when, and in what locale. It seems that sometimes a Hebrew book was translated more than once, or that a particular Greek translation was revised. In other cases, a work was composed afresh in Greek, yet was included in subsequent collections of the Scriptures. By observing technical terms and translation styles, comparing the Greek versions to the Dead Sea Scrolls, and comparing them to Hellenistic literature, scholars are in the process of stitching together an elusive history of the translations that eventually found their way into collections. By Philo's time the memory of the 72 translators was vibrant, an important part of Jewish life in Alexandria (Philo, Life of Moses 2.25-44). Pilgrims, both Jews and Gentiles, celebrated a yearly festival on the island where they conducted their work. The celebrity of the Septuagint and its translators remained strong in early Christianity. The earliest Christian references to the translation, from the mid-second century (St. Justin Martyr and Irenaeus), credit the entire Old Testament in Greek  whether originally written in Hebrew or not  to the 72. Thus Christians conflated [added] the Septuagint to their Old Testament canon2 (a canon that included the so-called "apocrypha"). For their part, Jewish rabbis, particularly Pharisees, reacted to the Christian appropriation of the Septuagint by producing fresh translations of their Scriptures (e.g., Aquila, in 128 CE, or Symmachus in the late second-century CE3), and discouraging the use of the Septuagint. By the second century Christian and Jewish leaders had cemented their positions on the form and character of the Scriptures. By and large, Christians held to the peculiar, prophetic character of their Septuagint, and Jews rejected it. The volumes were compiled in Caesarea, probably between 230 and 240 CE, a project funded by Origen's patron. The resultant work, called the Hexapla ["six-fold"], was massive, and has perished except for fragments. Origen was a very careful scholar, but he did not observe modern editorial conventions. His version of the LXX draws from several different manuscript families and embraces readings that bring the text closer to the Hebrew text of his day. Thus, this fifth LXX column, while establishing the first "standardized text" of the Christian Church, created problems for modern scholars who would seek to recover a pre-Christian version of the LXX. Further reascensions of the Greek text in the fourth century are attested. Hesychius (fl. 3/4th c.) is said to have created a reascension for the Church in Egypt; Lucian (d. 312 CE), in Antioch. Some scholars posit [assume] other reascensions from this period. Thus, we find some Greek Church fathers quoting the same Old Testament texts, but in very different forms. There is no indication, however, that this troubled Church leadership. The insistence on letter-for-letter, word-for-word accuracy in the Scriptures was a feature that was not to emerge in Christian thought for many centuries. And then, it only happened after a similar insistence appeared in Judaism and Islam. As far as most early Christians were concerned, any Greek version of the Old Testament read in the Church merited the term "Septuagint". Modern scholars, sifting through this very interesting and elusive history, have attempted to create editions of the Septuagint that reflect as early a text as possible. Rahlfs's edition of the LXX (1935) is semi-critical, utilizing what he believed to be the chief manuscripts. Brooke, McLean, and Thackeray's partial edition (1906-40) sought a more critical approach. The Göttingen edition of the LXX (1931-), now mostly complete, is the most critical edition of the LXX, taking into account more than 120 manuscripts, many languages, and a multitude of patristic quotations. Modern Biblical scholars accept the Göttingen as the standard edition, but the ease and accessibility of Rahlfs's edition has made it a popular alternative. Bear in mind, all these editions are eclectic5, thoughtful attempts to reconstruct the earliest version of the Greek translation of the Hebrew Bible. The term "Septuagint" could refer to any historical stage of the Greek translation of the Old Testament. A strict, purist use of "Septuagint" would allow the term to be used only of the earliest, (probably) unrecoverable translation of the Pentateuch made by the Jewish scholars around 282 BCE. Some refer to this earliest stage as the "Old Greek", but with some confusion, since this suggests that the term "Septuagint" should be applied only to texts with no connection to the legend of the 72. For the purposes of these lessons, I use "Septuagint" to refer to the entire tradition of Greek translation of the Hebrew Scriptures, and not to any single text or phase. The style of translation in the Septuagint varies from one translation to another. In some cases (e.g., Ecclesiastes), the Greek translation is very literal, almost wooden. In other cases (e.g., Proverbs), it is more periphrastic [unnecessarily wordy]. The quality and kind of translation must be assessed book-by-book. LXX Jeremiah is shorter than MT Jeremiah by roughly one-eighth, and the order of its chapters is quite different. LXX Job is about one-sixth smaller than MT Job, and includes an ending not extant in the Hebrew. Almost half of the verses in LXX Esther are not found in MT Esther. LXX Exodus and MT Exodus differ in many places according to order of verses, and inclusion or exclusion of words and material. Scholars offer different explanations for these differences, but the consensus is that, in many places the LXX reflects a very early Hebrew text no longer available to us. It is often difficult to say categorically how much, or exactly where, the LXX should correct the MT. This may frustrate readers who would prefer a clear-cut account of the transmission of the Hebrew text, since close study of the LXX tends to raise more questions than answers. Nevertheless, this much seems certain: the MT changed over time, and the LXX is a crucial witness to this process. Some of the differences between the LXX and MT crop up in the New Testament (NT), which draws extensively, but not exclusively, from the LXX. The meaning of the theological vocabulary of the NT is interlocked with that of the LXX, especially in the Pauline writings; and the peculiarities of the LXX are readily apparent in NT quotations. Notable is LXX Isaiah 7.14, which promises that a "virgin" will be with child. MT Isaiah 7.14, however, reports her merely as a "woman" (Hebrew almah). Thus, the argument behind Matthew 1:23, which cites this verse as a prophecy of Jesus Christ, makes sense only in light of the LXX. This, and examples like it, prompted early Christians to attribute to the LXX a special status, so as to safeguard the authority of the NT. Thus, the differences between the LXX and MT contributed directly to the distinct directions Judaism and Christianity took in late antiquity. Although a factor for division, the LXX also constitutes common ground, since it bears witness to the way Greek-speaking Jews before the Christian era read and interpreted the Hebrew Scriptures. The vocabulary and concepts of the LXX permeated early Christianity, a testament to its Jewish character. The Septuagint was the first translation made of the Hebrew Old Testament into Greek. It was begun over more than two hundred 200 years before the birth of Jesus. It was translated from a Hebrew Old Testament text-type that is older than the Masoretic text (from which most Old Testaments are translated today). This is sad, for the apostles had access to both the Septuagint and to the proto [first]-Masoretic text that was in existence in their time. And they chose to quote from the Septuagint  not the proto-Masoretic text. You have probably noticed that many of the Old Testament passages that are quoted in the New Testament don't read the same in the New as they do in the Old. However, if you were using the Septuagint Old Testament, they would read the same. For example, notice this passage from the Psalms that is quoted in the Book of Hebrews: "Therefore, when He comes into the world, He says, 'Sacrifice and offering thou hast not desired, but a body thou hast prepared for me.'" (Hebrews 10:5-6) In that passage, Paul is quoting from Psalm 40:6. If you look up Psalm 40:6 in your Bible, you will find that it reads: "Sacrifice and offering Thou hast not desired; mine ears Thou hast opened." (KJV) That's not how the writer of Hebrews quoted that verse, is it? Our Old Testaments don't say anything in Psalms about "a body Thou hast prepared for me." Is that not part of Scripture? If it isn't, why did the writer of Hebrews quote it as Scripture? If it is part of Scripture, what justification do we have for using a text that is different from what the Apostles were using? That is not an isolated example. Such variances between the Septuagint and the Masoretic text are fairly numerous. In fact, one of the cardinal teachings of Christianity turns on one of these variances. We have all read Matthew's quotation from Isaiah 7:14: "Now all this took place that what was spoken by the Lord through the prophet might be fulfilled, saying, 'Behold, the virgin shall be with child, and shall bear a Son, and they shall call His name Immanuel.'" (Matthew 1:22-23) What I did not realize until recently was that the Hebrew Masoretic text does not say, "the virgin shall be with child." It says, "the young woman shall be with child." No wonder the Apostles and their disciples chose the Septuagint over the Masoretic text. Unless you use the Revised Standard Version of the Bible, if you look up Isaiah 7:14 in your Old Testament, you will probably find that it reads "virgin" instead of "young woman". That's because translators have fudged [tampered] on their use of the Masoretic text in order to conform to the cardinal Christian doctrine of the virgin birth. But how honest is that? Can we ignore the Septuagint and treat it as "a translation full of errors", but then when one of those "errors" supports a major Christian doctrine, go over and borrow from it? Are we really seeking truth when we do that? Is the Septuagint Full of Errors? During the Middle Ages, and for many centuries thereafter, western Christians mistakenly thought that the Septuagint was merely a careless Greek translation of the Hebrew text. Many Christians today still think that. However, during the 1800s, scholars began to postulate that perhaps the reason for the variance between the Septuagint and the Masoretic text was that the translators of the Septuagint were working from an earlier Hebrew text that varied from the later Masoretic text. In 1947, when scholars were still speculating about these things, an Arab shepherd accidentally discovered some ancient Jewish scrolls near the settlement of Qumran in Palestine. Those scrolls, along with numerous other scrolls later found in the same vicinity, have come to be known as the Dead Sea Scrolls, or the Qumran Library. 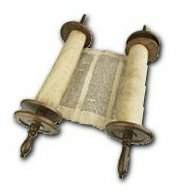 The Old Testament texts found among these scrolls were centuries older than any previously known Old Testament manuscripts. Among the first scrolls examined were two manuscripts of the book of Isaiah. The initial published reports proclaimed that those manuscripts were virtually identical to the Masoretic text of today. However, later, a more sober reflection on the Isaiah scrolls later, coupled with the discovery of Dead Sea manuscripts for other Old Testament books, revealed that the initial reports were premature. Rather than vindicating the Masoretic text as being the original Hebrew text, the thousands of Qumran text specimens reveal that there was a definite diversity of text types of the Old Testament in use during the centuries before Christ. The Masoretic text reflects only one of those text types. More importantly, those manuscripts confirmed that there were early Hebrew manuscripts that largely agree textually with the Septuagint. So the Septuagint was not a sloppy translation of the Masoretic text. Rather, it is apparently a reasonably faithful translation of another text type  a text that may well be older than the prototype of the Masoretic text. Again, let me emphasize that the differences between these text types do not affect any significant spiritual truths. They mainly affect the wording of various Old Testament passages. "If the writers of the NT [New Testament] were influenced by secular Greek, they were influenced more by LXX [Septuagint]. Separated from LXX the NT would have been almost unintelligible to the contemporary reader, according to B. Atkinson. ... At any rate, in the past decades there has developed an appreciation for the influence which LXX vocabulary had on NT thought and the contributions in this area of Septuagintal research are still coming. Consequently, the debate over which source is more important for NT lexicography, Greek or Hebrew, will probably be resolved in terms of LXX." "The LXX was the Bible for most writers of the NT. Not only did they take from it most of their express citations of Scripture, but their writings-in particular the Gospels, and among them especially Luke-contain numerous reminiscences of its language. The theological terms of the NT, such as "law," "righteousness," "mercy," "truth," "propitiation," were taken over directly from the LXX and must be understood in the light of their use in that version." This is intended to be a resource, not just to students and scholars of the LXX, but a point of initiation for those who are completely new to this subject. Pages dealing with texts and translations will give you access to web-based editions of the LXX and suggestions on how to buy a Septuagint. The page on secondary literature, particularly the introductory section, links to helpful articles for further study. The best information on the LXX is not on the web but in books. Of special help to beginners would be Jobes and Silva, Invitation to the Septuagint or Fernández Marcos, The Septuagint in Context: Introduction to the Greek Versions of the Bible. Also clear and concise is Peters' article, "Septuagint," in the Anchor Bible Dictionary, s.v. The most readily-available English translation of the Septuagint is Brenton's, made in the 19th century. Two major English translations have recently appeared: A New English Translation of the Septuagint, or NETS for short, a scholarly translation, appeared in November 2007; and the Orthodox Study Bible, an ecclesiastical translation, appeared in 2008. 1BCE  abbr. [Also B.C.E.] Of the period "Before the Common Era"; preferred by some instead of "BC" or "B.C." 2canon  n. A collection of books accepted as holy scripture especially the books of the Bible recognized by any Christian church as genuine and inspired. 3CE  abbr. [Also C.E.] Of the period coinciding with the "Christian Era". Preferred by some non-Christians over "AD" or "A.D."
4LXX  abbr. The Septuagint (from the Greek septuaginta, meaning "seventy"), often referred to by the Roman numerals "LXX". 5eclectic  abbr. Selecting what seems best of various styles or ideas.